With 85% of spare parts suppliers asserting that they will fully integrate 3D printing into their workflows within the next five years, it is clear that investment in 3D printing for spare parts is the key to retaining a competitive advantage for spare parts suppliers. The process of manufacturing, storing and delivering spare parts is a time-consuming and laborious one for spare parts suppliers. Costly warehouse storage of spare parts in addition to time-intensive production and shipping are just some of the difficulties faced by spare parts suppliers. Luckily, 3D printing has the potential to both solve these problems and transform the way spare parts are manufactured, delivered and stored. From reduced inventory and logistics costs to increased manufacturing agility with on-demand production, 3D printing offers a wealth of opportunity for the spare parts industry. Currently, spare parts suppliers are faced with a range of challenges stemming primarily from the production and storage of spare parts. For example, suppliers often have difficulties in predicting the demand for parts, and this can result in excess stock. Maintaining warehouses full of stock is in itself a costly expenditure, and only more so in the case of excess inventory. In addition to this, if spare parts suppliers choose to discontinue their production of parts that are very rarely ordered, customers are forced to either maintain their own inventories of stock or turn to third-party manufacturers, both of which are very costly options for the customer. However, with advent of 3D printing, a lot of these issues can be successfully addressed. One of the biggest benefits of 3D printing is that it enables on-demand manufacturing. The ability to manufacture parts at the point of need points to a shift from “make-to-stock” to a more sustainable “make-to-order” model for low-volume production of spare parts. This provides a significant benefit for OEMs and suppliers — not least by reducing the number of parts stored in warehouses, and thereby decreasing inventory costs. At the same time, lead times for small batches can be significantly shortened, thanks to the lack of tooling required for 3D printing. Furthermore, when a small number of obsolete parts need to be replaced and there are no spare parts available, reverse engineering and 3D printing are arguably the perfect solution. 3D scanning creates a 3D printable digital model of a spare part, which is then sent to a 3D printer and can be produced in a much faster time frame. By adopting this process, suppliers and manufacturers can greatly improve their flexibility and business agility. A number of manufacturers within different industries are already embracing 3D printing for their spare parts production. For example, Mercedes-Benz Trucks uses 3D printing to produce spare parts for freight trucks, while the rail industry sees Deutsche Bahn announcing plans to 3D print 15,000 spare parts by the end of 2018. The defence and aerospace industry is also investigating how additive manufacturing can fit and enhance Maintenance, Repair and Overhaul (MRO). Although these are early adopters, their investment in the innovative approaches is already bearing fruit in terms of reduced inventory and improved productivity. While 3D printing can help suppliers rethink the approach to manufacturing and storing spare parts, the technology also has the potential to disrupt the entire spare parts supply chain. In addition to on-demand production of spare parts, 3D printing also allows for new ways of designing them. From weight optimisation to reducing the number of parts in an assembly, 3D printing can lead to fewer parts having to be procured. One example of this is GE Aviation, which makes nozzles for jet engines with design for additive manufacturing in mind. Previously, the nozzles were made from 20 different parts sourced from various vendors and then assembled. However, with design optimisation and additive manufacturing, the number of components has been reduced to one, drastically simplifying the supply chain. Another game-changing benefit of 3D printing is that production can now move closer to customers. Producing parts in localised areas using 3D printing can ensure that spare parts are available within shorter timeframes. Delivery is therefore delivery much faster and simpler, driving down the logistical costs and reducing the complexity of the supply chain. Looking further ahead, the supply chain for spare parts could even become completely digitised. In this context, customers would not buy spare parts, but instead choose 3D files from digital inventories and print them using localised AM facilities or 3D printing services, thereby avoiding shipping costs and delays. One organization that has a beta-version of such a virtual warehouse platform is Kazzata. The company aims to provide an online marketplace for spare parts, effectively establishing a CAD repository for obsolete and rare parts. Outsourcing or 3D Printing Spare Parts In-House? As manufacturers increasingly adopt AM systems in-house, many may wish to consider establishing an in-house AM facility for spare parts rather than procuring them. However, when considering whether to implement such a strategy, manufacturers must take several factors into consideration, such as volumes of production, budget and timeline for implementing 3D printing. 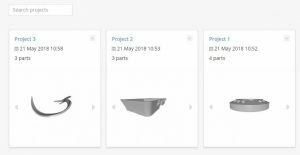 For in-house production needs, AM automation software such as RP Platform can help with inventory management, with a digital part catalogue dedicated to maintaining a digital stock of the most request and manufactured parts. On the other hand, if only small volumes of spare parts are to be produced, companies do not necessarily need to invest in 3D printers. With the growing number of 3D printing bureaus, manufacturers can easily have their spare parts 3D printed externally. 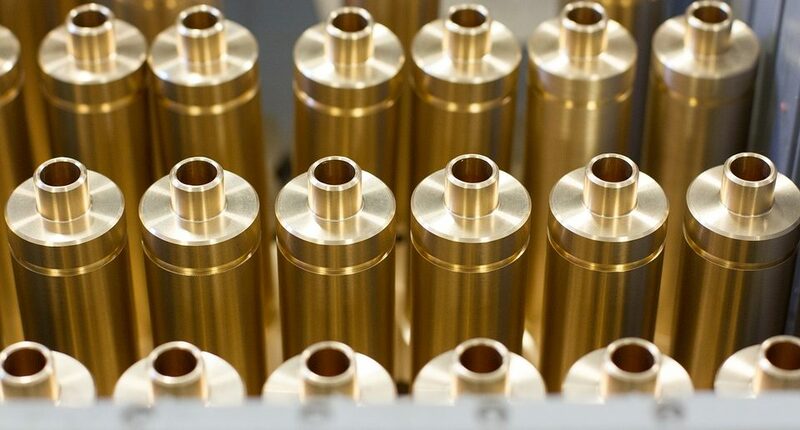 Generally, the choice whether to outsource or produce spare parts in-house greatly depends on the extent to which a company would like to integrate additive manufacturing into its workflow. 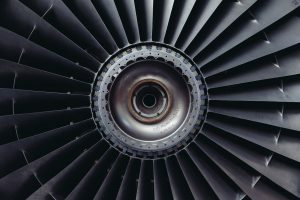 Although the benefits of using 3D printing for spare parts are widely recognised, there are a number of challenges associated with scaling additive manufacturing in the spare parts supply chain. Process repeatability for 3D printed parts is among the biggest concerns for many OEMs and suppliers. The challenge here, therefore, is to set quality standards for spare parts and ensure that 3D printed parts match these standards and industry specifications – and dedicated software will play a key role in ensuring that standards are met. For example, RP Platform’s automation software ensures process repeatability by logging and tracking every stage of the production workflow. There are also legal barriers in the form of Intellectual Property (IP) and copyright that need to be resolved. As 3D printing moves manufacturing towards a digitally-driven supply chain, there still lies uncertainty regarding IP and how the designs of parts provided by suppliers should be protected by copyright. Before 3D printing is widely adopted within the spare parts industry, both suppliers and OEMs respectively must establish the security of their intellectual property. Encouraged by the possibilities offered by additive manufacturing, spare parts suppliers and OEMs are increasingly recognising the benefits of 3D printing as a source of on-demand, decentralised manufacturing. As the technology evolves and potential challenges are resolved, 3D printing will inevitably play a much more prominent role in the areas of spare parts logistics, revolutionising the traditional spare parts supply chain. 3D Printing Precious Metals - a New Approach?